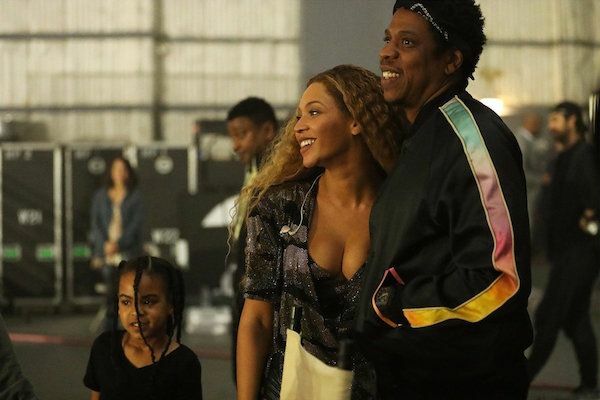 WATCH: Beyoncé Gives Us An EPIC (And Historical) Destiny's Child Reunion At Coachella, Brings Out Jay-Z & A Super Lit Solange! In what was arguably the best performance of her career as the best entertainer alive (not up for debate, honestly), Beyoncé took a few minutes out of her wig-snatching 2+ hour set to give us the Destiny's Child reunion we've been wanting for over a decade. Just call them Big Sister Soul Snatcher 1, 2 and 3. Yassssssss! While this movie - not a performance, that ish was a whole damn movie! - certainly didn't need any supporting acts, the first black woman to ever headline Coachella sprinkled us with more slayage than we could handle. 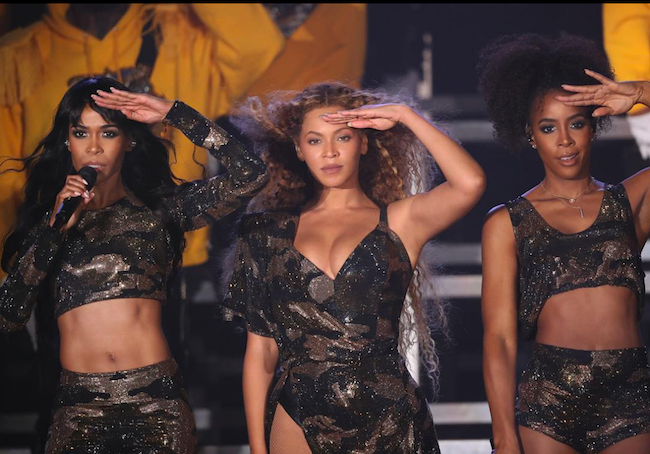 DC3 rocked a glittery spin on those iconic camo outfits from their "Soldier" days, and served up a medley of hits and harmonies, and most Coachella kids don't even know what hit them. Bodies, vocals, harmonies stunted on everybody. Nobody fell. Kelly rowland, Michelle Williams and Beyoncé ate this entire performance, which also solidified them as the first girl group to ever perform at Coachella. All other groups attempting to reunite may have just been sent back to the drawing board. ThenBey returned the favor to both her husband and her sister - both of whom brought her out during their Coachella sets in 2010 & 2014 - to double slay. She had her huge HBCU-inspired band (we'll get to that epicness later) intro "Roc Boys," then Hov came out to perform "Deja Vu" with his spouse. If this was any indication of the OTRII tour, Mr. Carter's gonna have to up his game. Your wife is on her MJ, so we need you to be on your Prince, sir. They were still cute, though. Solange, however, didn't come to play with you h**s. (*Big Freedia voice*) She and Bey brought the New Orleans steez to the stage (which Bey had done all night, and we LIVE) to do a sister dance break to "Get Me Bodied." Blonde Solo got her whole life on that stage, and we appreciate that ish. Who else still can't sleep after all of this? NEXT: WATCH: Beyoncé's Coachella LIVE STREAM!